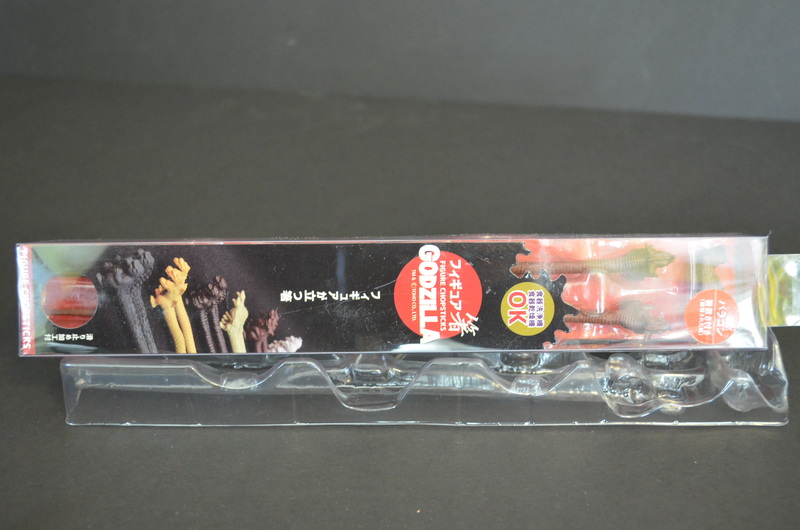 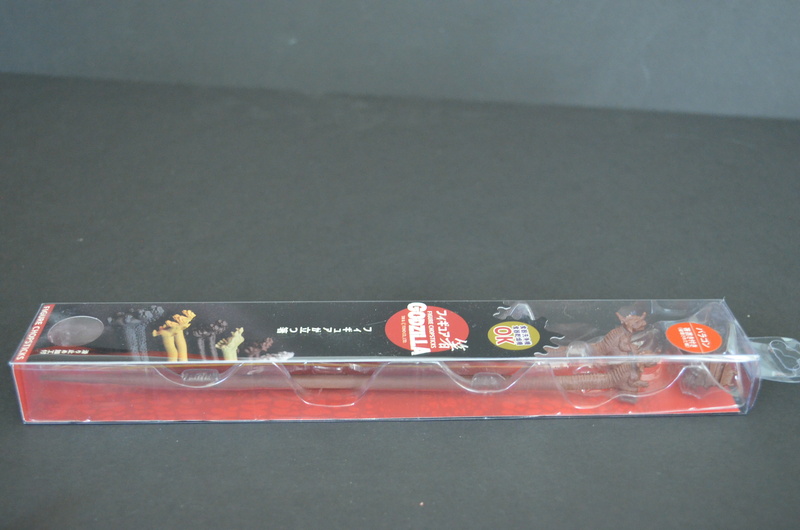 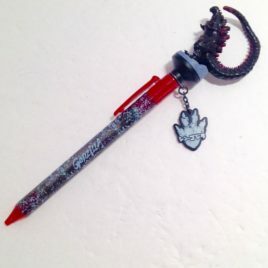 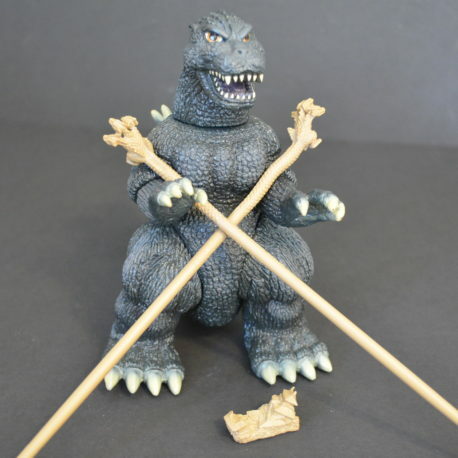 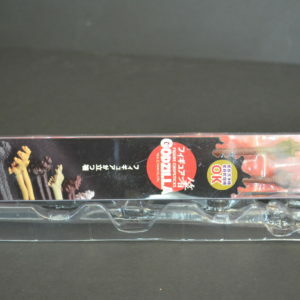 Calling all Sushi and Godzilla Lovers; Chopsticks of your favorite Monsters. 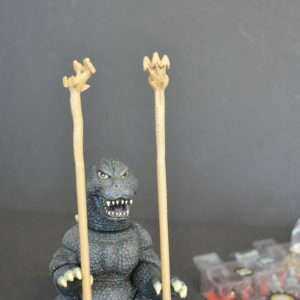 The series has 5 different monsters but this offer is only for King Ghidora. 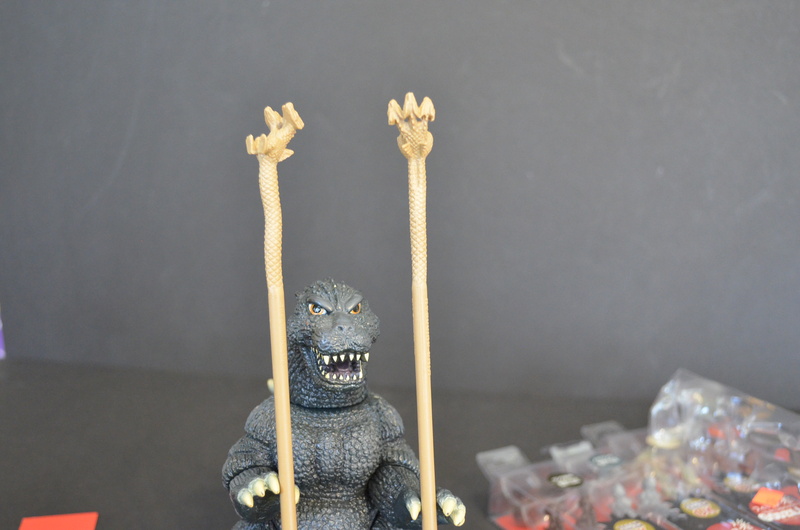 The King Ghidors is muted gold colored plastic measuring about 9 inches. 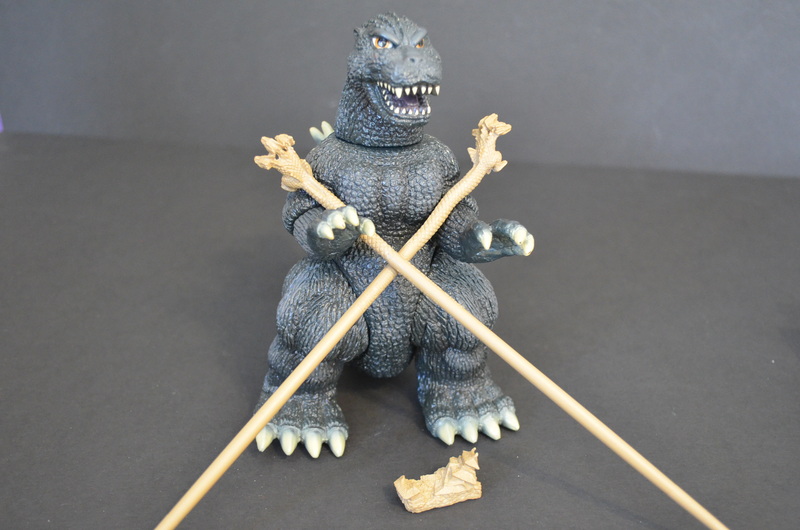 The chopstick holder is a destroyed castle.